Goodness Me Gluten Free | I blinked and it's almost Christmas - what happened to 2015? I really don’t know where this year has gone, all my plans for regular blogging have disappeared in the busyness of running a business and finding time for friends and family then suddenly its October already and everyone’s talking about Christmas! So I have been sitting here looking through my photos reflecting on “just what have I done with the year” and thought I would share with you some of the mostly gluten free related highlights of the year so far. In April & May I had the opportunity to spend several weeks in the United States and during that time I attended a gluten free expo in America (you can read about that here Celiac Disease Foundation Conference & Expo Pasadena) I also got the chance to wander aimlessly in the largest Wholefoods store in California, being a foodie this gave me a fascinating insight into American food trends. I spent an obsessive amount of time perusing the baked goods section analyzing what was on offer, paying particular interest to Bagels as I knew this was on my list of recipes I wanted to create a gluten free version for when I returned to New Zealand. So much so that I forgot to take a photo! 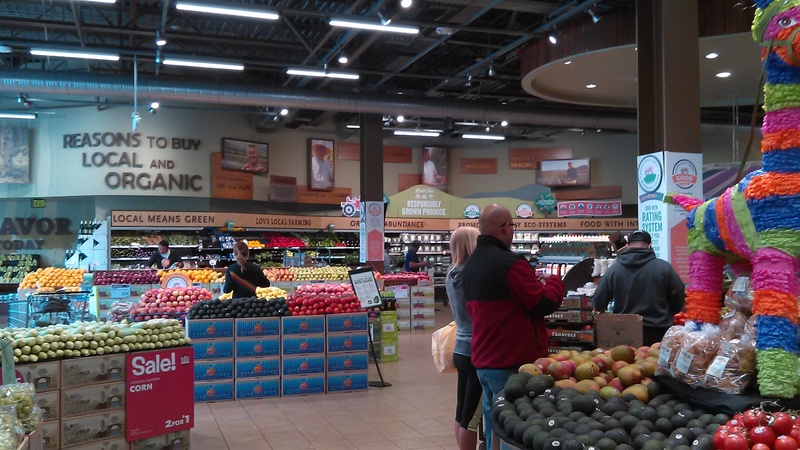 So here is one of the produce department instead, much healthier. Of course I also checked out the Wholefoods gluten free range. 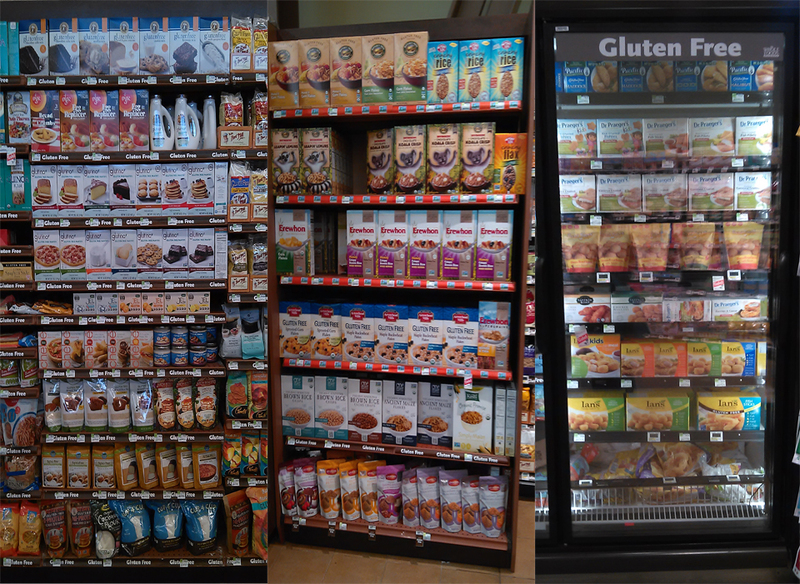 I have never seen so many gluten free products in one place, so much choice though I did note a lot of products contained other allergens, most often soy! Here are just a few of the many types of products available. As an author another highlight of that trip was a visit to Powells Bookstore in Portland. Oregon. 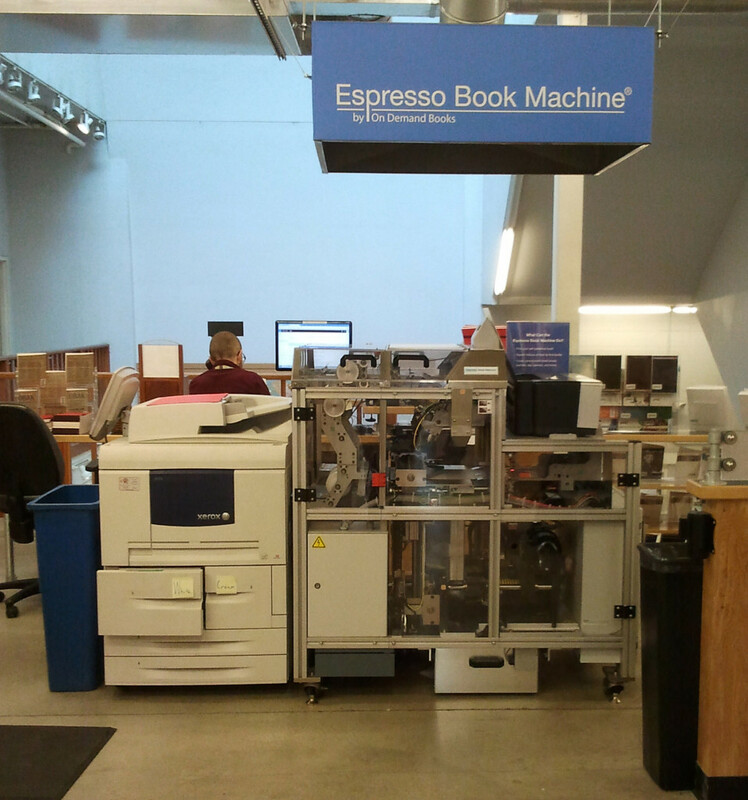 Powells is apparently the largest independently owned bookshop in the world. It’s so big you could easily get lost in the multiple levels and row upon row of fabulous books. 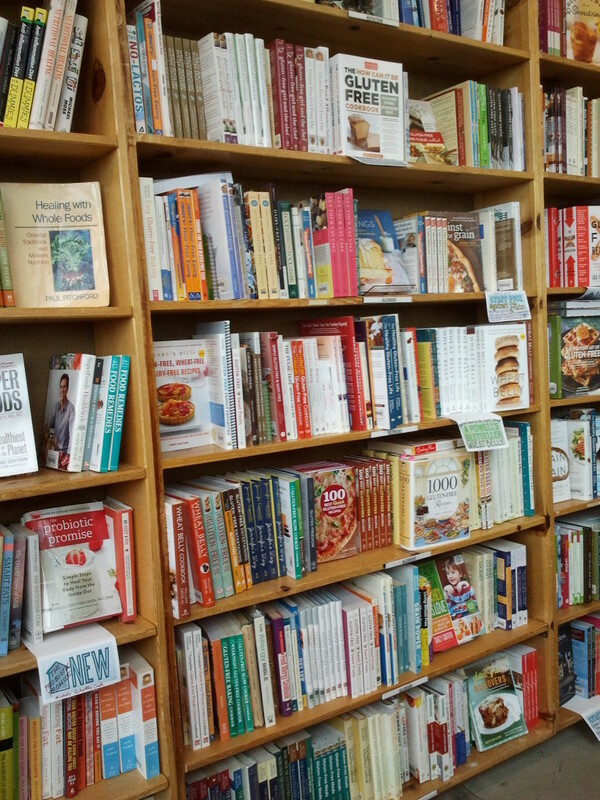 Just look at how many gluten free cookbooks they have, how would you ever choose what to buy! Luckily I resisted the urge due to my desire to keep within airplane baggage limits. At least that’s my excuse and I’m sticking to it. They also had this intriguing book printing machine, I have read about these print on demand contraptions so it was great to see one in real life, just a shame it wasn’t actually printing a book at the time. 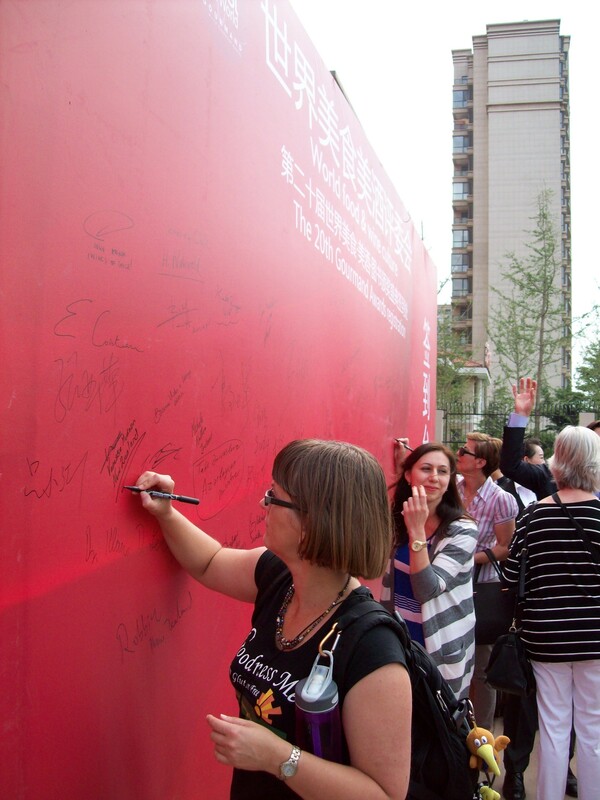 After being back in NZ for only 3 weeks in June Mary & I headed to Yantai, China for the 2015 Gourmand World Cookbook Awards. Yantai is a city on the north east coast of China (close to Korea as the crow flies) and also happens to be where my Gran grew up, a child of English Missionaries stationed in that area. So this trip was also about uncovering a part of our family history. I took far more photos than I could ever hope to share here but below is the picture that best captures the moment of the Gourmand Awards we were anticipating the most, finding out who would win in the Best Italian Cookbook section. 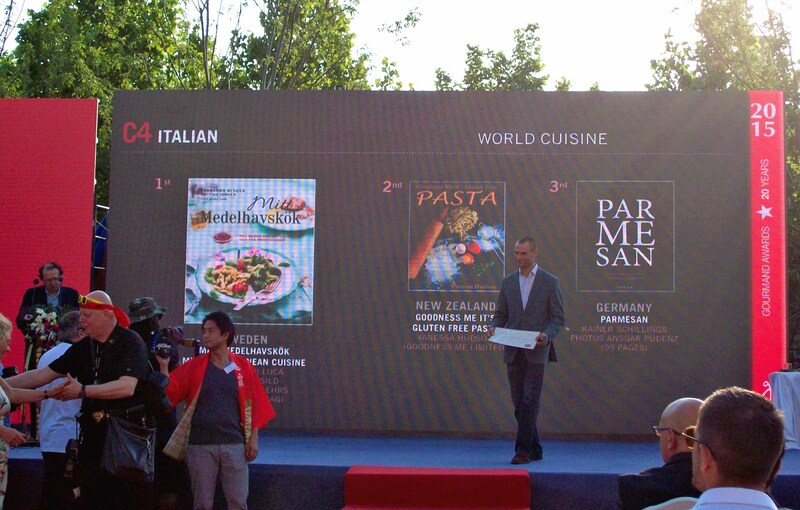 I feel honored that my cookbook Goodness Me it’s Gluten Free PASTA achieved 2nd place in the Gourmand Awards Best Italian Cookbook in the World category for 2015. To be able to shine a light on gluten free food in front of an international audience and show them that gluten free food can compete (and win) against “normal” food gives me such satisfaction. Who ever said that we should settle for food that is somehow “less” than the food everyone else gets to enjoy better rethink that idea! Not quite a red carpet but it will do, I’m not fussy (much). I wonder where this went after the Awards, hanging on a wall in China I suspect. We couldn’t leave without visiting Beijing and the surrounding area where I was able to tick off a Bucket List item with a hike along the Great Wall of China. 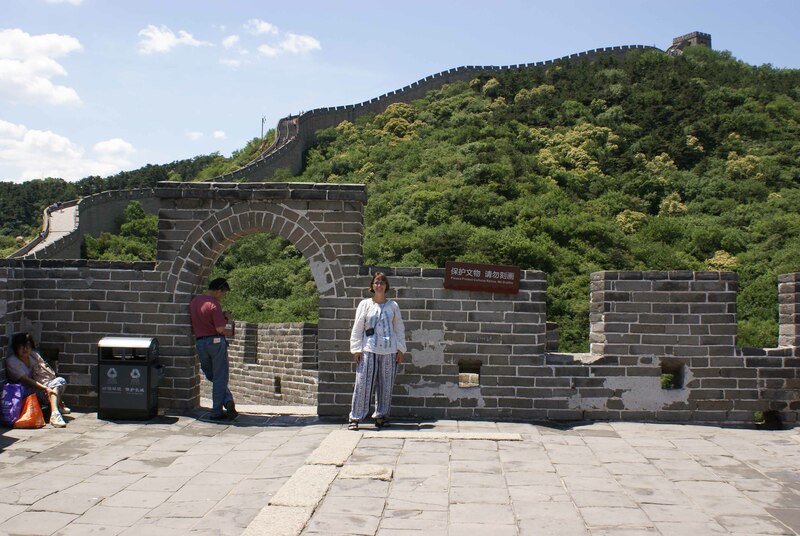 Well you can’t go to China (this was both Mary & my fist time) and not visit the “wall” after all, can you? After those two overseas trips the rest of the year seems a little more mundane and down to earth. Mary and I enjoyed attending the Coeliac NZ AGM & Conference in Auckland in late June, though we were a little jet lagged having just returned from China earlier in the week. As we had just taken on the role of Coeliac Support Group coordinators for the Tauranga region it was fantastic to meet the Coeliac NZ team and to hear from others involved in promoting gluten free goods and services around NZ. I have to give a shout out to Rototuna New World who are doing an amazing job at stocking an extensive range of gluten free products and since meeting them in Auckland I am happy to say they have now added our cookbooks to their range. We’ve also knuckled down and got into some serious recipe testing and catering these past few months which is something we both really enjoy doing, if only we could “play” in the kitchen every day! Many of those recipes have been focused around artisan breads (I feel a cookbook coming on). This saw us developing and testing recipes as diverse New York bagels to current buns and crumpets to calzone. You can read more about that here: Bread Glorious, Gluten Free Bread We certainly don’t miss out in our household! 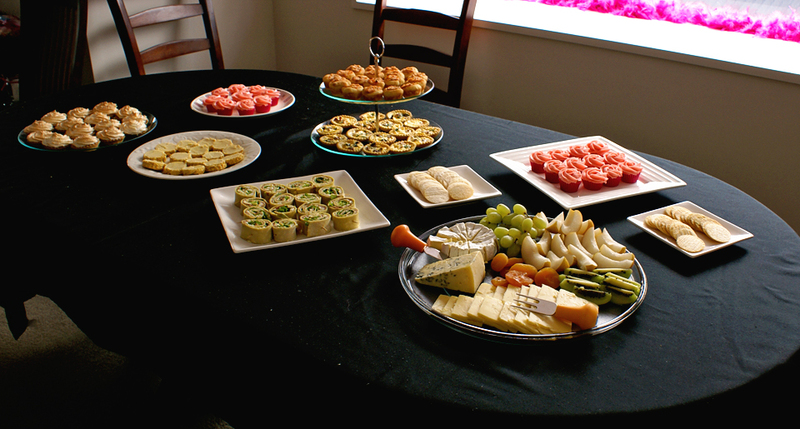 That’s not to say we have been neglecting other types of recipes as this delicious spread we prepared for a hens party afternoon tea shows. Only 2 of the group were gluten free however everyone enjoyed the food and had no idea it was actually gluten free until we told them! Seeing the look of delight from Coeliac attendees at a recent local women’s conference when they discovered the yummy treats we had unexpectedly provided for them so they wouldn’t have to miss out on supper was also priceless. Finally these past couple of months have been dominated by the writing, sending out and then collating responses from our Goodness Me Gluten Free Network survey. We wanted to learn about what you really wished existed that would make living gluten free stress free. It was awesome to hear back from so many of you and we are very excited about the things we have in store for you as a result of your answers and suggestions, but that is best kept for my next post.